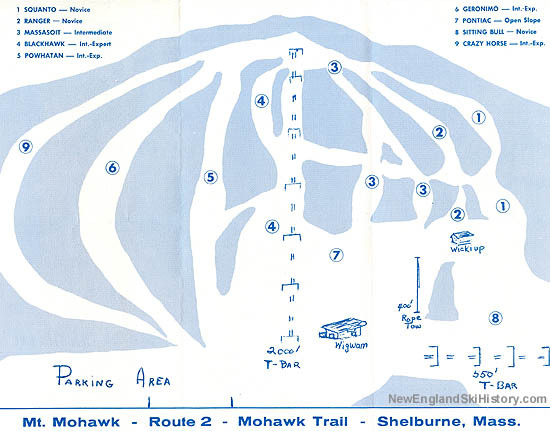 After likely opening in 1957-58, the Mohawk Trail Skiway steadily expanded. 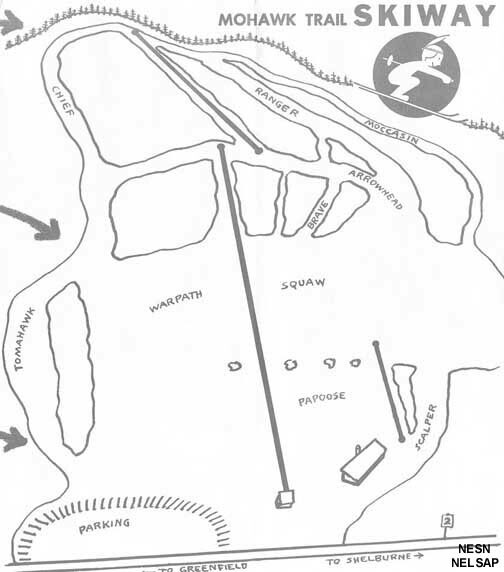 In 1959-60, the main rope tow was extended uphill by 350 feet, while a short beginner rope tow was also added. 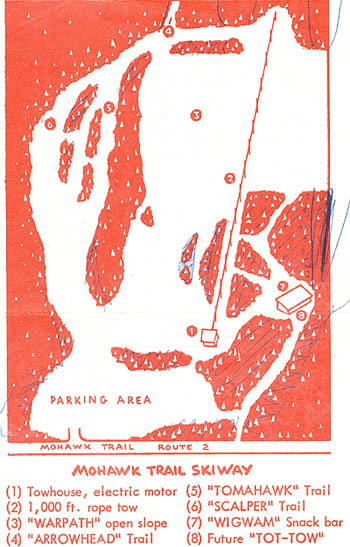 For either 1960-61 or 1961-62, a rope tow was added above the main rope tow, extending the lift served terrain to the top of the mountain and opening multiple new novice and intermediate trails. In 1962-63, the two rope tows were replaced with a new 2,000 foot long Mueller T-Bar. In addition, a new 650 foot long beginner Mueller T-Bar was installed in the vicinity of the Sitting Bull slope. near Route 2. Rounding off the improvements, the base lodge was expanded and two new trails were added. Due in part to rustic facilities and no snowmaking, Mt. 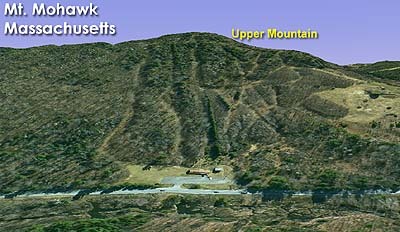 Mohawk and its Upper Mountain area closed in the early 1980s.